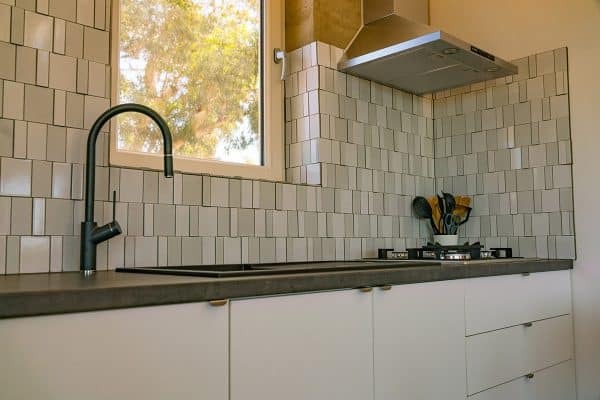 Villa Ada and Villa May. 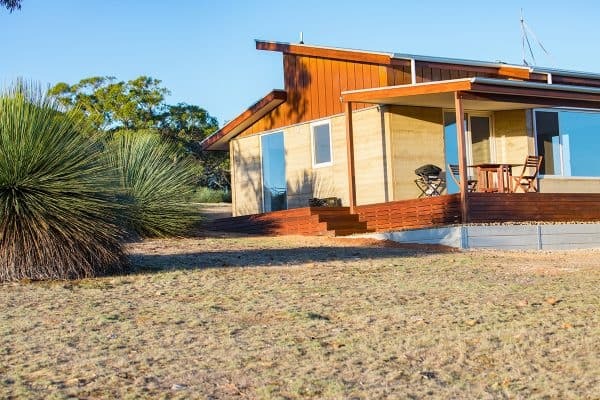 Understated Kangaroo Island Luxury Accommodation. 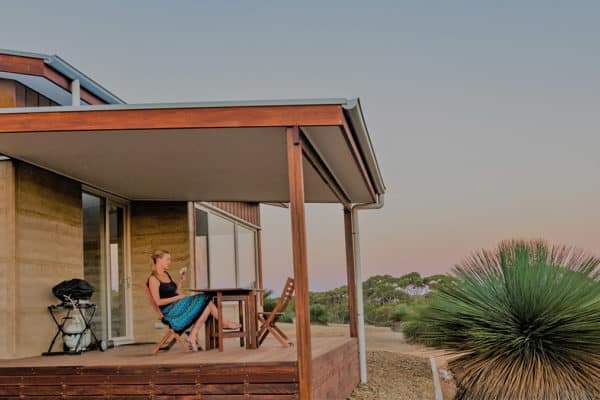 Each villa is stunningly crafted from rammed earth, and appointed with a luxurious king-size bed, and a freestanding bath. 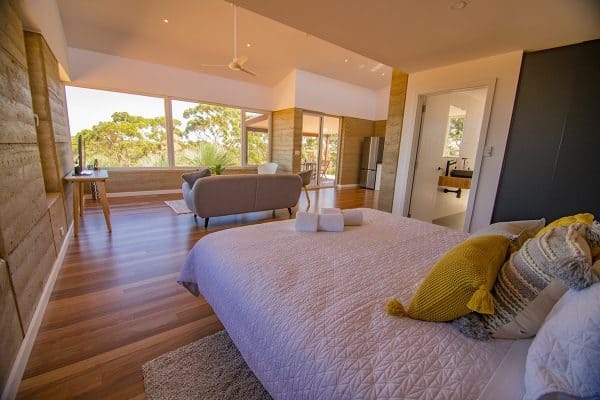 A contemporary open plan design boasting double glazed full height windows throughout, Spotted Gum floors and a charming log wood fireplace gives guests a truly unique eco-luxe immersive stay. Combining eco-luxury with a quintessential Kangaroo Island nature experience. 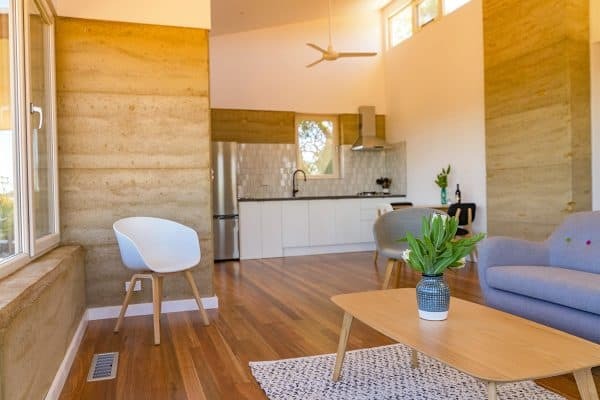 Meticulous attention to the design of the rammed earth villas has made it possible to achieve the softest footprint achievable when it comes to luxury off-grid living. Warmth in the winter, coolness in the summer is harnessed within the surrounds of the monolithic 300mm thick rammed earth walls, while the full height double glazed windows bring the outside in. 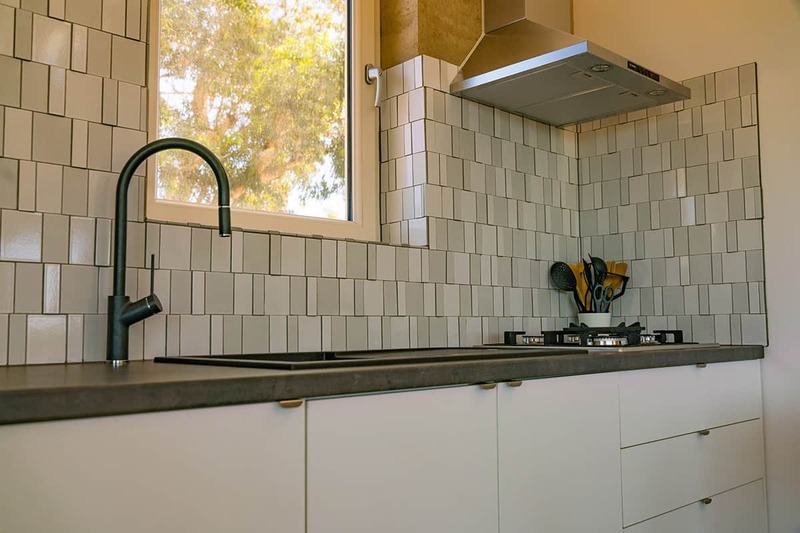 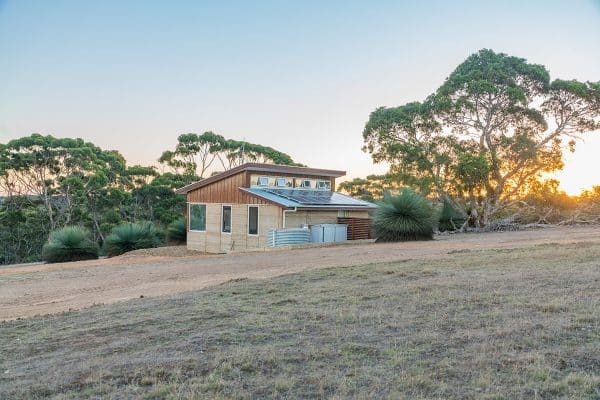 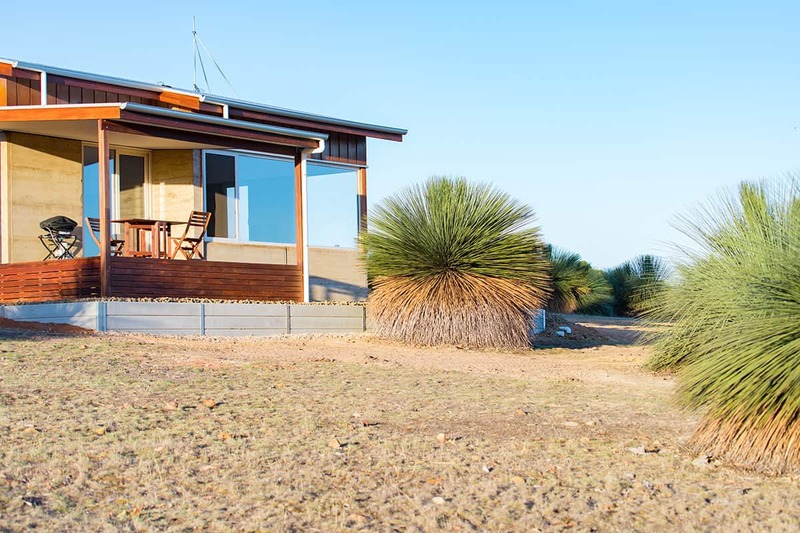 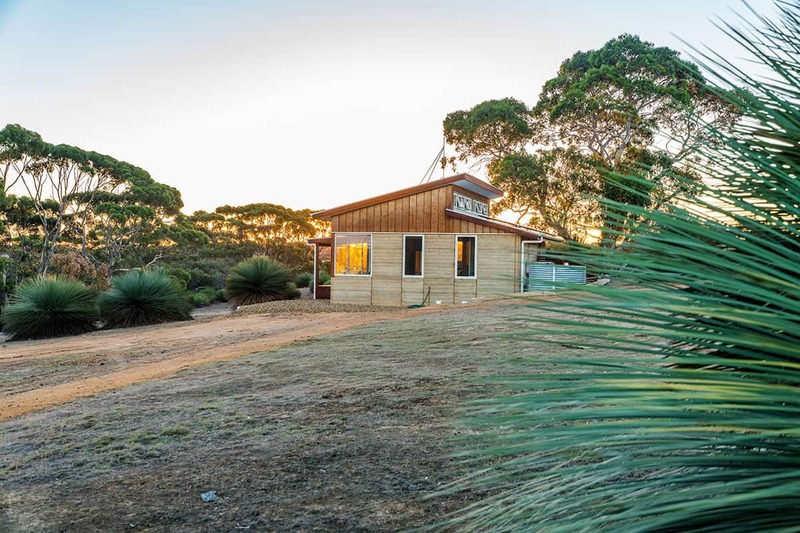 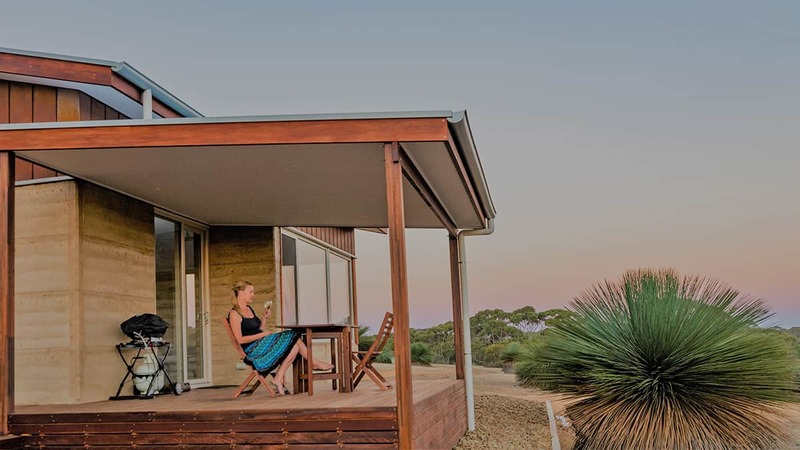 Each villa is comfortably equipped with all the modern, eco-friendly, appliances required for a luxurious self-contained stay on Kangaroo Island. 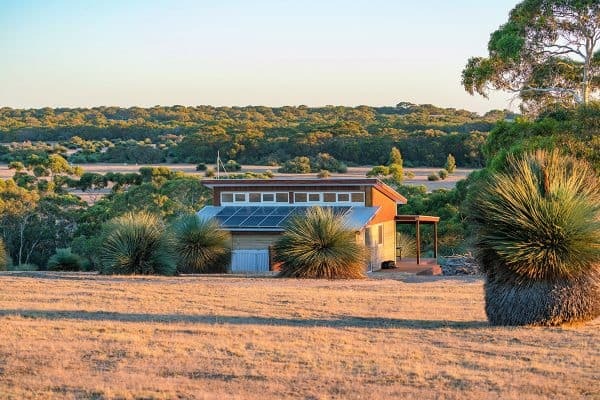 Powered by an off-grid solar energy system and utilising 100% pure Kangaroo Island rainwater, the luxury villas are in every essence, a truly unique fusion of luxury and nature. 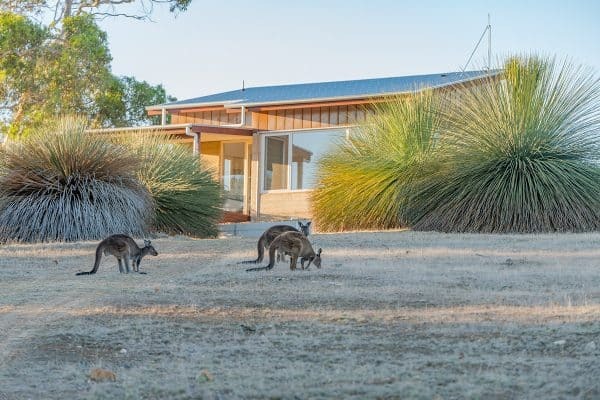 Ecopia Retreat - Kangaroo Island Accommodation. 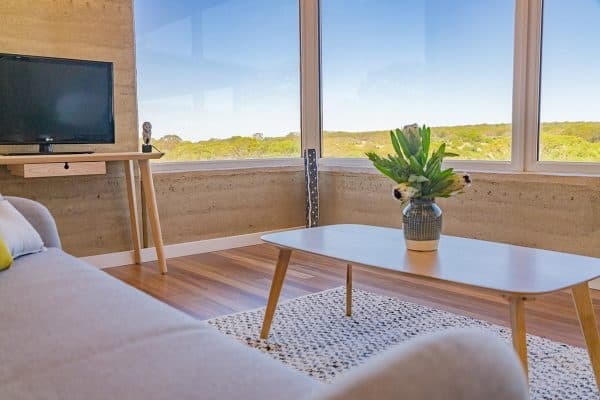 Located on Gregors Road in the centre of the Island, it offers a stunningly unique, eco-friendly, immersive holiday experience. © Copyright 2019 Ecopia Retreat | All Rights Reserved.